Connectivity is key. Along with TwinCore technology and unrivaled sound quality. You will never miss a moment with Strata 2c, a discreet, high-tech hearing aid that’s backed by our powerful TwinCore Technology. 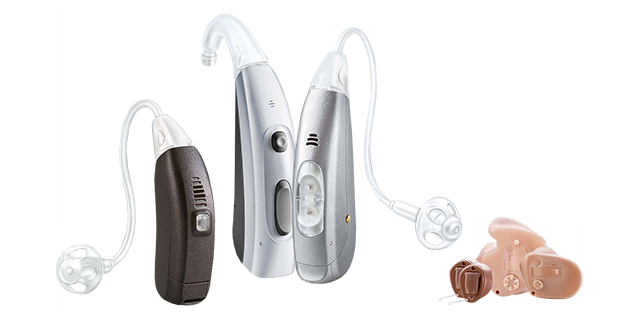 If you’re looking for a convenient hearing aid that caters to your busy lifestyle, look no further. Strata 2c boasts the best in high-tech features, HD Speech and wireless connectivity; and will keep you connected, day in and day out, to all of your electronic devices without missing a beat. Charismo 2c is a tiny, compact RIC that’s perfect for those looking for the latest technology and the utmost in secrecy. It satisfies the hearing needs of high-performance, active people and provides a natural sound experience in difficult hearing situations for a variety of users. From the golf course to an all-day shopping trip, or even a business meeting - Charismo 2c has you covered. Powerful, long-lasting performance in an ultra-small housing. 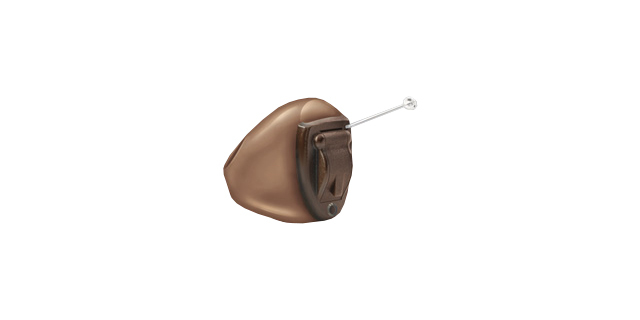 Onyx+ boasts a wide fitting range, connectivity options and a reliable feature set all packed into a tiny, cosmetically appealing hearing aid. If you’re looking for a high-tech, comfortable hearing solution that keeps you connected to your daily electronic devices, look no further. Effortless high-definition sound provided by powerful TwinCore Technology and luxurious, sophisticated features. 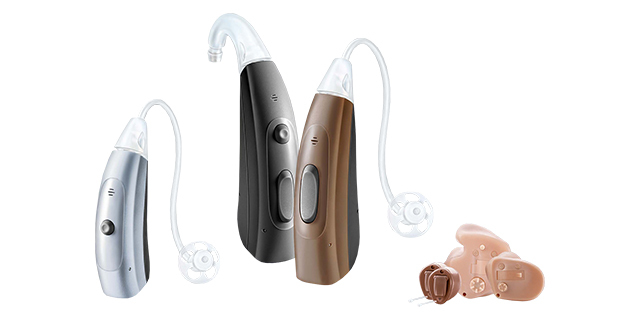 Sophistication at its best, Finesse offers the best in today’s hearing technology - from our luxurious HD speech to our top-notch Blu Link connectivity. Finesse is backed by powerful TwinCore Technology and designed for wearers looking for it all – rich, luxurious sound, sophisticated features; and a compact, modern housing. Perfect for the wearer who is busy enjoying life to the fullest with family and friends and doesn’t want the typical hassle of a hearing solution - Accord 2c gives you the best of TwinCore Technology with HD speech and connectivity features, all packed into an ultra-comfortable hearing solution. 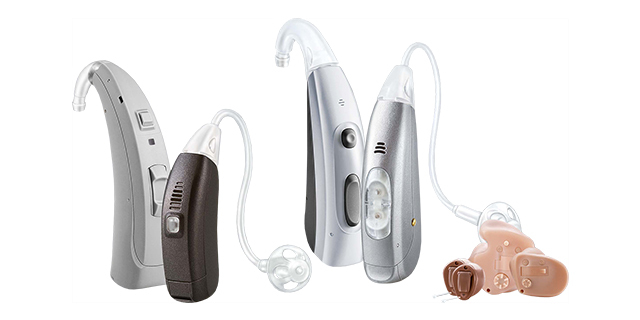 Because the best hearing solutions are the ones that are forgotten when in use, and that’s exactly what you will become accustomed to with the robust reliability and natural sound of Accord 2c. From the robust SecureTec housing to the reliable, state-of-the-art features - Joy 2c’s refined sound brings the utmost in comfort and natural sound to any listening situation you encounter. The laughter and sounds of family and friends will be closer than ever thanks to a full line of stylish options. Small and discreet does the trick. 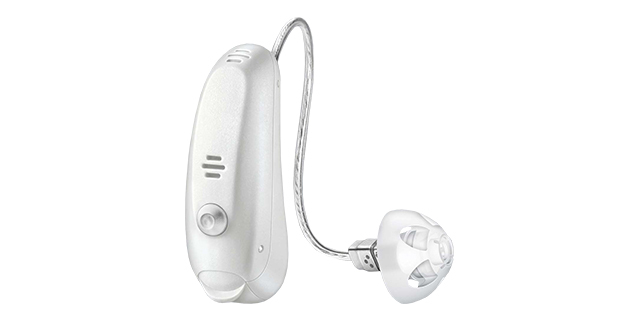 Pico is our smallest and most discreet hearing aid ever. Pico provides a high-performance, reliable solution for those requiring the utmost is secrecy. Fitting deeper into the second bend of the ear canal than a traditional CIC, Pico is not only invisible but also offers a comfortable fit. The power of all wireless options in your hand. 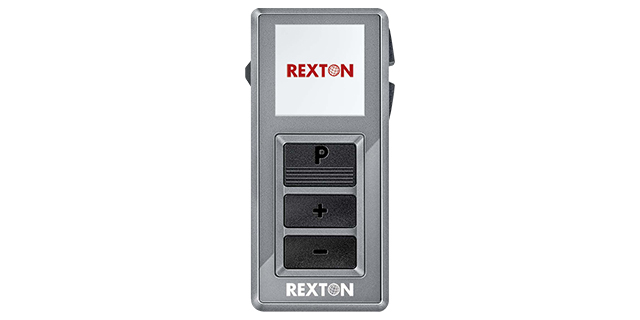 Using Rexton’s Blu Link Technology with Bluetooth® wireless connectivity, Blu RCU and Mini Blu RCU send sound from electronic gadgets you can’t live without to both your hearing aids. The clever little remote can be tucked in a pocket, clipped to clothing, or worn around your neck. 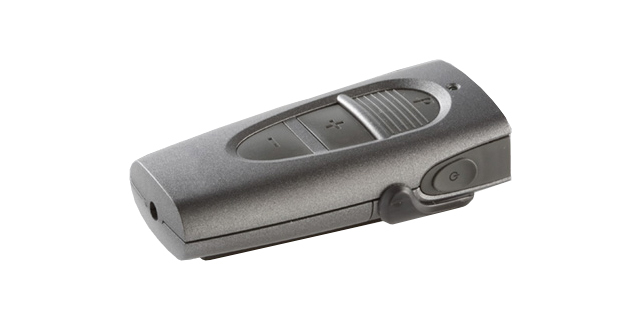 A small, easy-to-use remote control with a display screen makes it easy for you to control your hearing aids with the touch of a button. 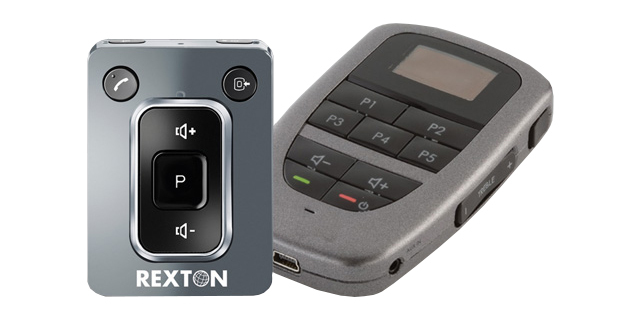 Smart Pocket controls volume, programs, and turns your hearing aids on and off - as well as many other customizable functions. You can even set a daily alarm clock to remind you of important events! 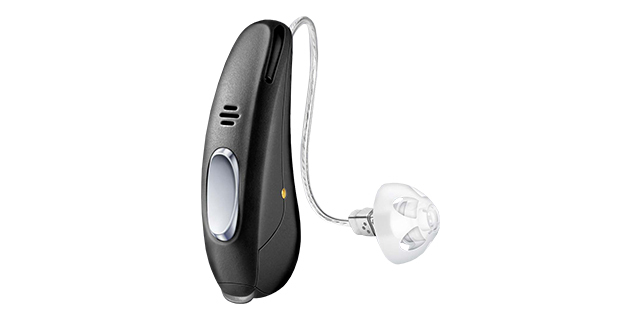 The wireless remote control enables you to easily and discreetly change the settings of your hearing aids. You can make volume and program changes and turn your hearing aids on and off. 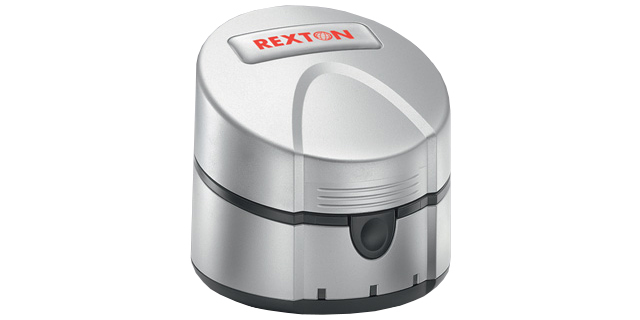 Charge your hearing aids overnight using the charging unit for a full day of trouble-free operation. 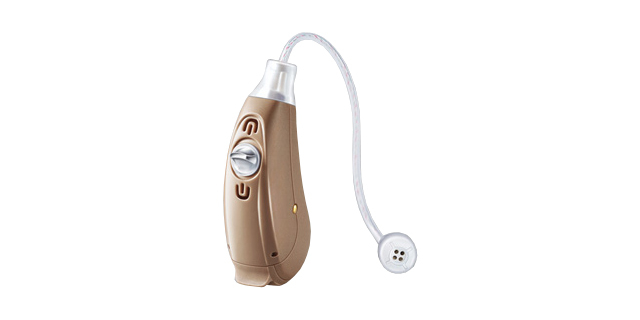 This convenient charger also includes an electronic drying function to control moisture and humidity, prolonging the life of your hearing aids.